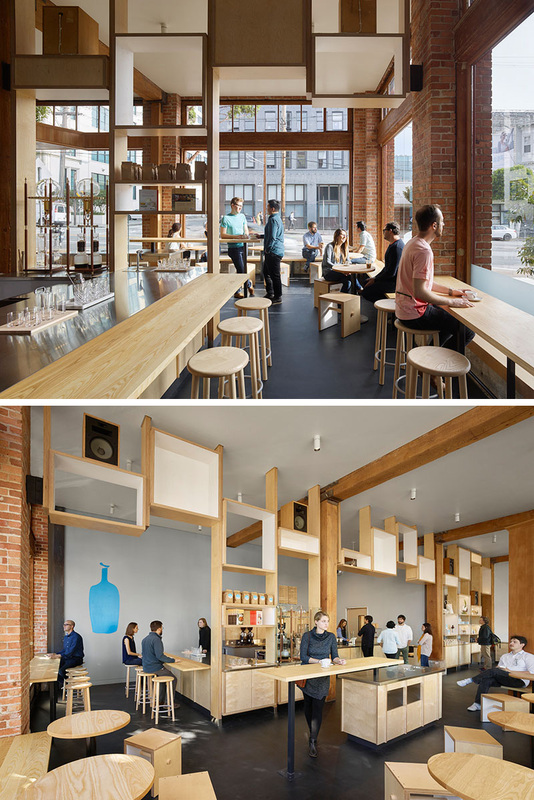 Architecture firm Bohlin Cywinski Jackson, have recently completed the design of the newest Blue Bottle Coffee location in San Francisco, California. 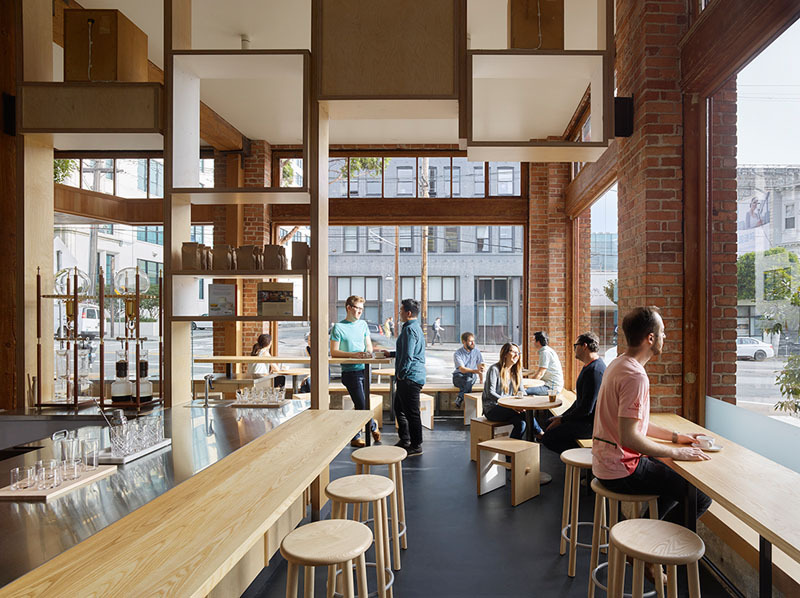 The design of this coffee shop is a fusion of past and present with the industrious building and modern interior, making it the perfect place to grab a cup of coffee. 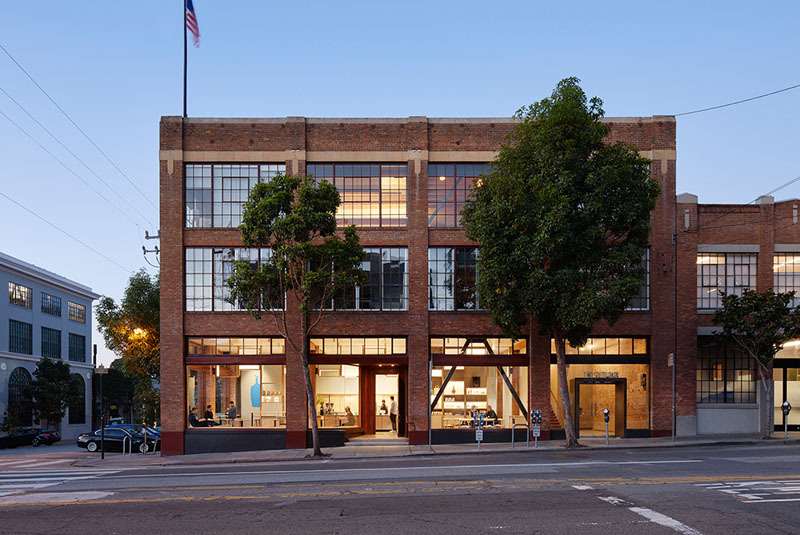 The brick building that houses the cafe is a former warehouse that has been transformed into a bright and inviting space. The large red framed windows that line the front of the building blend in with the exterior and reveal the warm interior of the cafe. Solid ash wood bench seating is utilized in the corner window of the cafe, providing extra space for patrons that allows them to look outside while others look in. 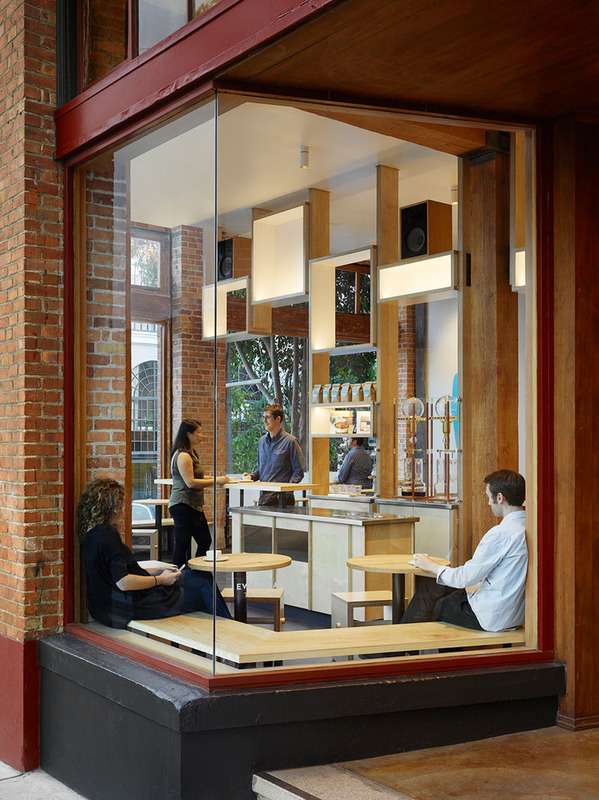 The large framed windows provide a glimpse of the minimally decorated interior of the cafe. 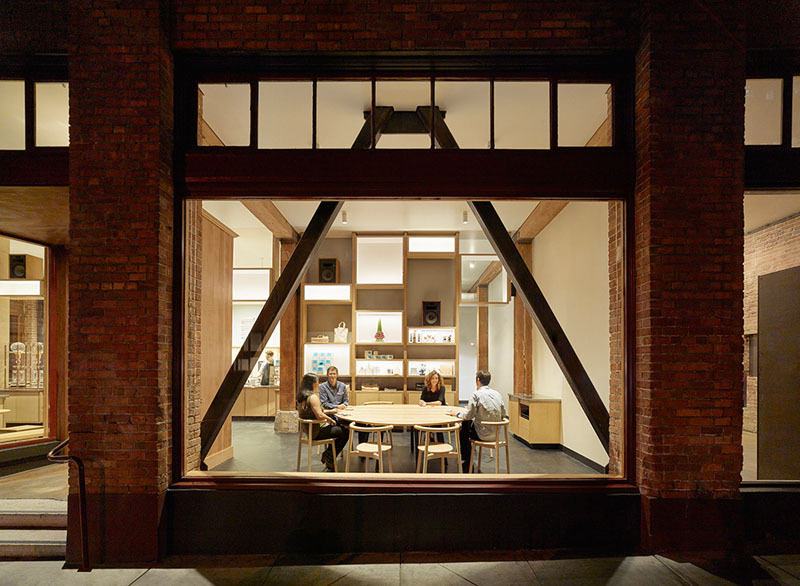 Large tables allow for groups of people to stop by and work, or catch up with one another. Inside the coffee shop, white and light wood boxes grace the interior providing space for storage and merchandise. The stainless steel and birch plywood bar compliments the concrete flooring, original brickwork, wood accents, and exposed beams throughout the cafe.